This week, I've officially been blogging for five years! It seems like only yesterday that I decided to create So Obsessed With. 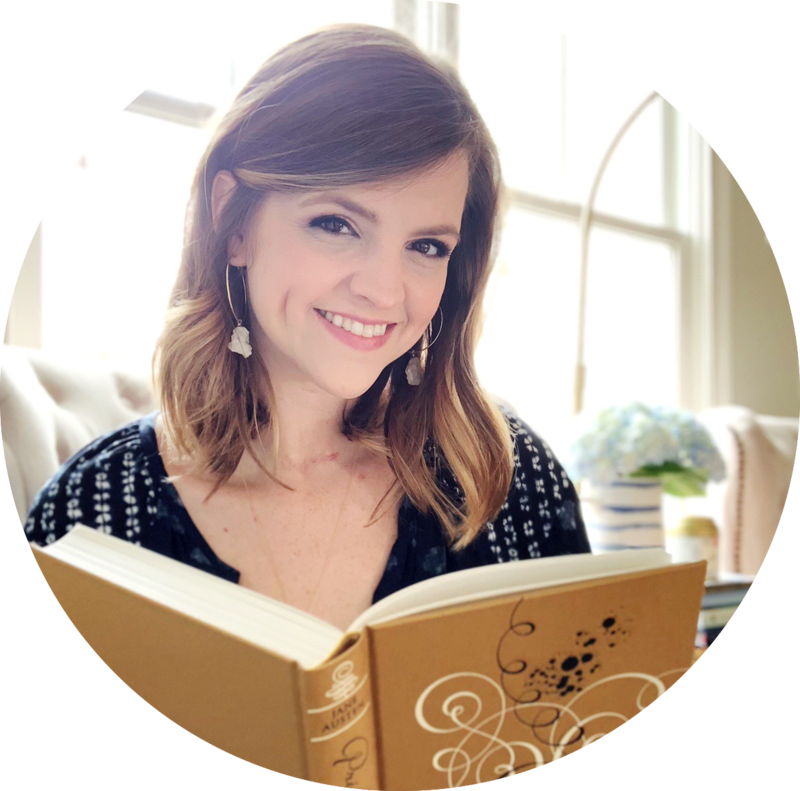 The idea for my blog came not long after I got married, but it took me a few months before I decided on my blog name, came up with a design and hit the "Publish" button. I always wanted my blog to fit my personality. For years, my husband has teasingly told me that I suffer from a case of obsession. When something strikes my fancy, I end up with a furious need to read/find/make/buy whatever has crossed my mind. My obsessions can last anywhere from a few days to a few months, but my lifelong obsession has always been reading. So, I figured writing about books was the best bet I had of sticking with this whole blogging thing. That's obviously turned out to be true! To celebrate this milestone, I was initially just going to write a celebration post on the date of my first post (December 15). But as I reminisced on the past five years, I realized that I wanted to really celebrate everything that's happened since 2011. I've had so many obsessions, read so many books, written so many posts, made so many memories and learned so many lessons. And so, I've turned this into a weeklong celebration that I'm calling Five Years of Favorites. Today, I'm highlight some of the things I've been so obsessed with since I started this blog. I hope you enjoy everything I've got planned for this week, including a giveaway on Friday! 1. Blogger - While it can sometimes drive me crazy, it seems only fitting to start with the thing that started it all! So Obsessed With exists on the Blogger platform, so I think it's fair to call this an obsession. 2. Feedly - Even before I started blogging, I was an avid blog reader. It's what made me want to start my own! I still follow numerous blogs, and Feedly is how I keep track of new posts I need to read and save my favorites. 4. Snagit - I rely on three basic tools to create all my blog graphics, but Snagit is probably my favorite. It's technically just a screen capture software, but I use it to create a lot of what you see on my blog. 5. Wunderlist - I've always loved pen and paper, but Wunderlist is my favorite digital planning tool. This to-do list app keeps me on track with the blog, and I love it so much that I wrote a whole post about it. 1. Audiobooks - I used to think that I wasn't an audiobook person, but then I figured out a little secret: I love re-reading via audio. It lets me revisit favorite books in a whole new way! Audible is my go-to source, of course. 2. BILLY Bookcases - Nick bought me these IKEA BILLY Bookshelves last year, and I actually have a legit library now! I'm constantly going in the office to reorganize my books, shop my shelves and plot future purchases. 3. Bookmarks - I've become quite the bookmark collector the past five years! Magnetic ones from craftedvan and HappyHelloCo are definitely my favorite, but I love the calligraphy ones from PemberleyPond, too. 4. Folio Society - Discovering Folio Society was great for my classics collection, but bad for my wallet. I want all of their gorgeous editions! I even wrote a post I about why I'm so obsessed with them. 5. Kindle Paperwhite - Of course, I can't forget my Kindle Paperwhite! While I'll probably always prefer physical books, I absolutely love reading on my Kindle. I've got a huge selection of books - right at my fingertips! 1. Age of Adaline - I didn't get to see Age of Adaline in theaters, but I was so sure that I was going to love it that I pre-ordered a copy when it came out. Thankfully, I was right! I adored the costumes, the story and the cast. 2. Belle - This movie is on my list of all-time favorite movies EVER! It's just perfect in so many ways. And I actually love Belle so much that I created a new feature, Tune in Tonight, so that I could talk about it. 3. Catching Fire - You may know that I'm completely obsessed with The Hunger Games series. It all started with the books, but it's grown to encompass the movies, too. Catching Fire is my favorite of the four movies! 4. The Heat - I felt like I needed at least one comedy on my list of movie obsessions from the last five years, and The Heat is what first came to mind. I just love Sandra Bullock and Melissa McCarthy together! 5. The Longest Ride - And finally, I've got to have at least one slightly cheesy movie on my list. The Longest Ride made me so happy while I was watching it, and not just because I think Scott Eastwood is adorable. 1. The Civil Wars by The Civil Wars - I'm still so sad about The Civil Wars breaking up, and they've been over for years now. WHYYYYYY? I love this album (and their first) so much, and I'm sad there won't be more. 2. x (Deluxe Edition) by Ed Sheeran - The first time I tried listening to an Ed Sheeran album, I was not a fan. Then I heard one of his songs on The Vampire Diaries and gave him another listen... and now I'm forever obsessed! 3. Chaos and the Calm by James Bay - I can't remember for sure how I found James Bay, but I think it may have been a Spotify Discover playlist. Regardless, this was my favorite album of 2015. So dang good! 4. VENUS by Joy Williams - Since I can't have more from The Civil Wars, I'll at least console myself with this album by the talented Joy Williams. It's definitely a different sound from her work with John Paul White, but I still love it. 1. Darling Magazine - I can't remember how I found Darling, but I'm so glad I did! This quarterly magazine is on the pricey side ($20 per issue), but it's so worth it. It's gorgeous and has the best content! 2. Entertainment Weekly - I used to subscribe to a ton of magazines, but now it's only one: Entertainment Weekly. I read it as soon as it arrives in the mail, and it's introduced me to so many things I love. 3. FoxyDori - I discovered faux doris last year, and the obsession hit me hard. I wrote several posts about my FoxyDori (1, 2, 3, 4) - and those have ended up being some of the most popular posts on my blog. 4. May Books - I first talked about May Books on back in 2013 when I suggested using them to plan blog posts. My love for them has only grown since then! I just keep buying them, even though I have so many unused. 5. Papermate Flair Pens - Yes, I did have to include pens on this list! I'm definitely a sucker for colorful pens - and while I like Staedtler Fineliners, I just keep coming back to these Papermate Flairs. I WANT THEM ALL. 1. Amazon Prime - I signed up for Amazon Prime in 2012, and it's been one of my best and worst decisions. It's the best because I use it for so much, but it's the worst because now I'm addicted to free two-day shipping. 2. Book Depository - I used to see gorgeous UK editions of books and get sad that I couldn't have them myself. When I learned that Book Depository ships to the US from the UK (for free! ), there was no going back. 3. Book Outlet - Every time I make a commitment to tackling my TBR and not buying books, it's Book Outlet that throws me off course. I just cannot resist the incredible deals that you can find on books on their site! 4. Etsy - I could spend waaaaay too much time looking at things on Etsy. I love supporting small businesses and finding so many talented creators. Prints, bookmarks, t-shirts, Kindle cases - I've purchased it all there! 5. Society6 - If you're looking for bookish merchandise, you might want to start by browsing Society6. Whenever I want a new bookish mug, print or tote, I turn to this site. There's something for everyone here. 1. Goodreads - I signed up for Goodreads in February 2010, which is more than a year before I started blogging. 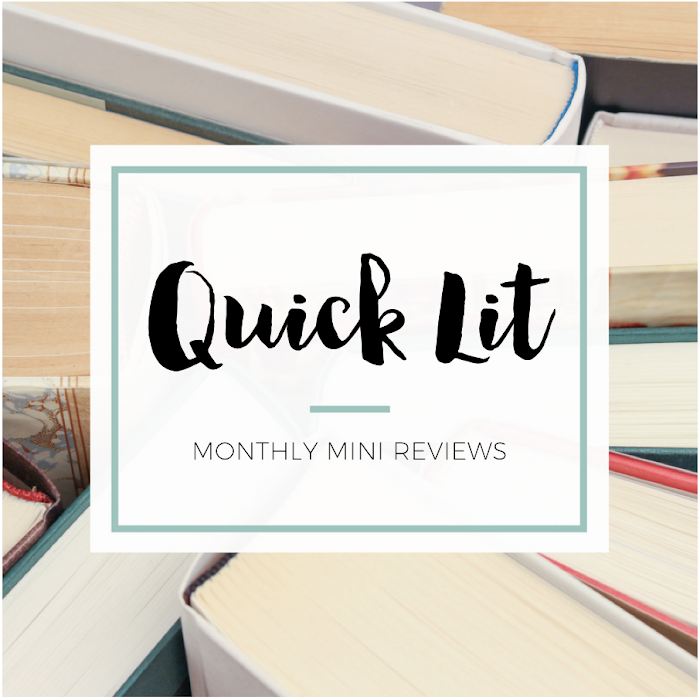 I love this website for introducing me to book blogging and for tracking what I've read and what I want to read. 2. Instagram - I'm certainly not going to win any #bookstagram awards, but I love sharing the bookish side of my life on my Instagram account. And it's probably my favorite social media site to browse! 3. Tumblr - Before I created So Obsessed With, I had a Tumblr account. It's where I caught the blogging bug! I don't really post there anymore, but I still frequently spend time just looking at different tags on there. 4. Twitter - To be honest, I have a love-hate relationships with Twitter. I love it for the way it helped me connect to other bloggers, especially early on in the life of my blog. But I hate it because there's just so much noise on it. 5. YouTube - I only dabbled in posting YouTube videos, but I probably watch something there every single day. From military reunions to movie trailers, one of my favorite things I've watched is The Lizzie Bennet Diaries. Pssst - I'm so obsessed with a lot more TV shows, but these are the top five I started/finished in the last five years. 1. Downton Abbey - There are so many things I wished I could do differently on Downton Abbey, but that didn't stop me from tuning in every week. The costumes, the setting, the drama - I wanted to live in this world! 2. Friday Night Lights - Although I'm expected to love football in the South, I've just never understood the appeal. So, I originally shied away from Friday Night Lights. Thank goodness Twitter convinced me to try it! 3. Parenthood - I absolutely love the Bravermans! I found Parenthood after a few seasons had aired, binged it during a vacation from work and just fell in love with this family. I'm still sad there are no more episodes. 4. The Vampire Diaries - This show is absolutely insane and almost never makes sense, but I just can't stop watching. I got addicted to The Vampire Diaries a few years ago, and I haven't looked back since. 5. Veronica Mars - A big thank you to all the book bloggers on Twitter who convinced me to watch Veronica Mars a few years ago. It's basically a modern Nancy Drew (but darker, smarter and funnier). 1. Google Drive - Although Google Drive may seem like a random thing, I had to include it because Alexa and I have used it to plan so fun blog collaborations - and keep a master list of our Books Read + TBR. 2. Netflix - Isn't it crazy that we used to live in a world without Netflix? It's amazing that I have so many things to watch just a click away. From original series to old favorites, I love being able to binge TV shows. 3. Pocket - Whenever I'm browsing online and find a post that I want to come back and read later (or that I read but want to revisit), I save it to Pocket. I generally use it before saving something to Pinterest. 4. Redbox - There used to be a Blockbuster across the street from my neighborhood, but it's been gone for a long time now. Thankfully, however, there's a Redbox in my grocery store so I can rent new movies for less! 5. Spotify Premium - I signed up for Spotify Premium last year, and it's probably my most-used subscription. I get my money's worth with it! Whether I'm driving or blogging, I having access to so much music. Five Years of Favorites: The Books! This is such an awesome list! I use a lot of the tools you mentioned and see some new (to me) ones I want to try out. Congrats on 5 years of blogging!!! YAY FOR FIVE YEARS OF BLOGGING! (That's the same for me too, by the way.) I'm so glad we got to meet through this wonderful online book/blogging community and became friends <3 Honestly, I see so many things I love using too, and so many things I want to try (specifically the shows and the films).